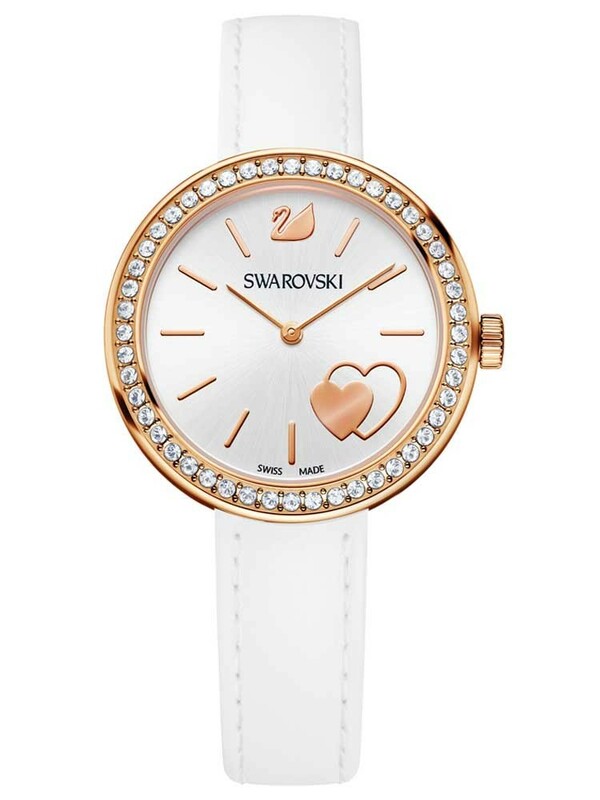 From the charismatic Daytime collection by Swarovski, a beautiful rose gold analogue timepiece. 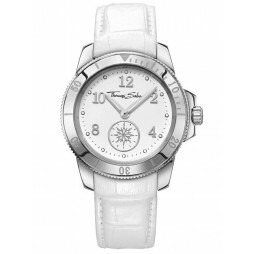 This glamorous wristwatch uses a crisp white dial with a double rose heart design which is surrounded by a crystal set bezel. 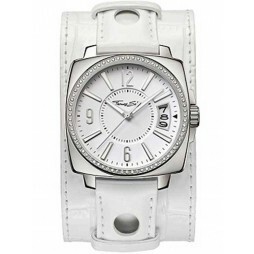 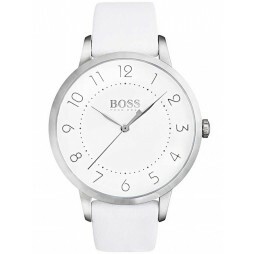 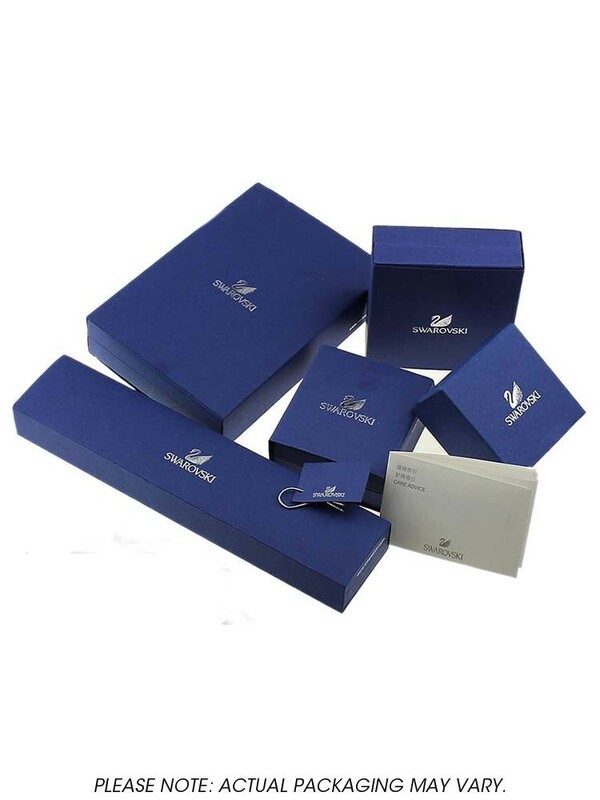 The genuine white leather strap sits comfortably on the wrist and fastens securely using traditional buckle.